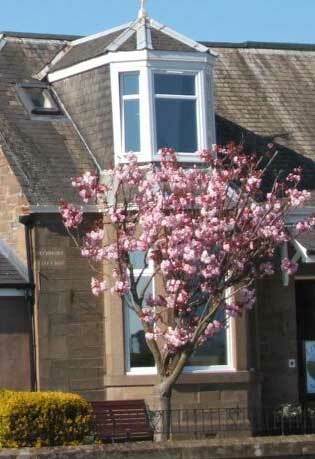 You will find this small and affordable little guest house right next door to the Carnoustie championship golf course. This 4-star Linksview offers a total of four stylishly furnished guest rooms, each of them en-suite. It's a simple yet subtly lavish affair with high quality furnishings. From the rich heavy drapes around the windows to the gorgeous thick quilts, the guest house has earnerd every one of its four stars in terms of comfort. Each of the rooms features a flat-screen TV, tea and coffee making facilities, and an en suite bathroom with free toiletries. A full Scottish and continental breakfasts is served every morning in the dining room which boasts some excellent views over the golf course.